M Byrne Builders Limited - Builder, Kitchens based in Stubbington, Hampshire. 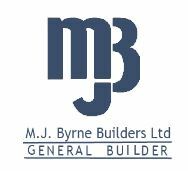 M.J. Byrne Builders Ltd, are an established general building company based in Fareham. We have been providing quality building services to discerning home owners in the south Hampshire area for over 26 years. In that period we have built a reputation for reliably delivering everything from one off houses to taking down dividing walls. We specialise in home extensions and loft conversions working closely with clients, architects, building surveyors and suppliers to maintain timescales, budgets and strict construction standards. Being a small business we pride ourselves on our personal contact with clients throughout the build. We are always available to discuss issues in advance or as they occur. We keep a tidy site and welcome initiatives that encourage energy conservation and recycling of materials.